In today’s modern world, having a website is an essential part of doing business. Whether you are selling a product or service online or posting informative pieces that bring attention to your company or purpose – a website is one of the best ways to reach out to potential customers all over the world. However, simply having a website is not enough these days. Google works hard to help promote websites that provide quality content. But it goes beyond that as well. In fact, thanks to the Google algorithm, your page may not rank as highly as you would have expected. Learning how to work with the Google algorithm can be tricky. However, with tools like Google Analytics to help, you can help grow your online business and make your website shine! Below, we explain how Google Analytics can make your website successful in the face of constant updates to Google’s algorithm. In order to provide people with information that is relevant to what they have searched for, Google uses an ever-changing algorithm to analyze and pull the websites that best match your query. While your search input highlights keywords, the Google algorithm goes beyond simply matching your words to those on websites. The Google algorithm strives to find relevant and quality content in response to your query. To do this, it analyzes several aspects of your page. This includes search engine optimization (SEO) features, backlinks, E-A-T (Expertise, Authoritativeness, Trustworthiness), and more. Google’s algorithm can seem impossibly complex, especially if you are new to owning a business website. 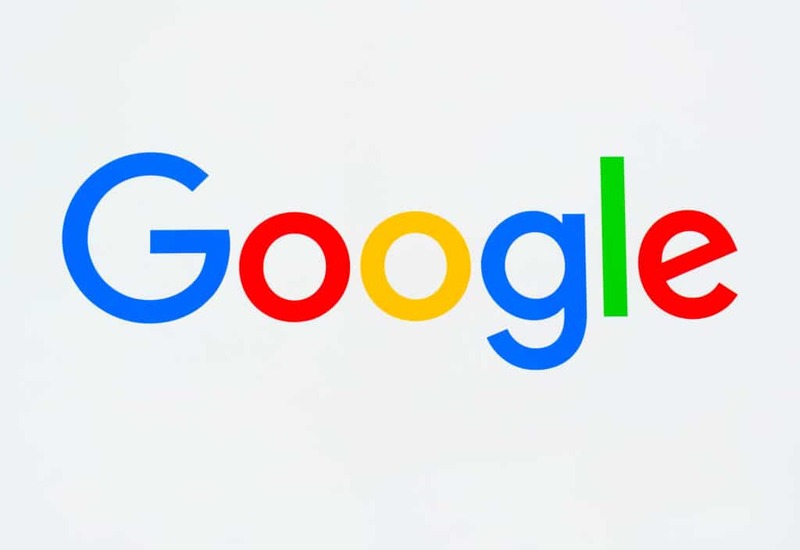 Because Google updates this algorithm regularly, it can even seem to be near impossible to understand as newer version may make previously important criteria completely irrelevant. However, there are several tools available to help you maximize your Google standing within the algorithm itself. Google Analytics is of the best tools for this. Google Analytics can seem overwhelming at first. After all, it provides a lot of information that you will need to digest. However, Google Analytics was designed to help all types of websites shine, including brands, businesses, and bloggers! In its most basic form, Google Analytics is broken down into eight main categories. This includes Dashboards, Shortcuts, Intelligence Events, Real-Time, Audience, Acquisition, Behavior, and Conversions. Each of these sections then contains sub-sections of data to help you drill into your topic of choice. Before we dive into an overview of each Google Analytics category, let’s take the time to define several terms seen throughout the tool’s metrics. Users: This refers to individuals who have visited your website within the date range you selected. “Users” is a general term used for both new and returning individuals who have visited your website. Session: A session is defined as the period of time during which a user is actively engaged with your site. Dimensions: Dimensions refers to the descriptive characteristics of a specific object. Browser, session duration, exit page are examples of various dimensions Google Analytics reports on. Metrics: Metrics are the statistics assigned to each dimension. They are the data outputs created when you example specific dimensions. Average Session Duration, for example, will provide the metrics related to how long a user remains on your page. Your Dashboard allows you to customize and quickly access your most important reports. Dashboards are made of a collection of widgets that allow you to monitor multiple metrics at one. This permits you to quickly evaluate the overall health of your website. Shortcuts allow you to quickly create data ranges for use with other sections of your Google Analytics tool. Date ranges, for example, can be set up within the Shortcuts section to help you quickly plug in some pre-determined date criteria. Reports that call into the Real-Time section are updated every few seconds. This creates a live feed of exactly what is occurring on your website whenever you check in on these metrics. The Audience section of your Google Analytics tool provides insights into the specific characteristics of your users. It includes sub-sections like Overview, Active Users, Lifetime Value, Cohort Analysis, Demographics and much more. If you want to know how people found your website, the Acquisition section of your Google Analytics tool is for you. Sub-sections include topics like Overview, Channels, All Traffic, All Referrals, Campaigns, Keywords, Social and more. Reports from the Behavior section of Google Analytics help to highlight what content performs best on your website. From site searches to speed and content interactions, Behavior reports help you focus on what parts of your page bring in users and keep them enthralled. Conversions are those activities that, once completed, are considered important to your business. For an e-commerce website, for example, the purchase of an object is considered a conversion. For a blogger, a user who signs up for your weekly email newsletter is another conversion. Knowing which sections to pay attention to is important. Depending on what type of website you have, your specific focus areas will vary. For example, marketing agencies will likely want to focus on areas that help them to better understand their target audience. For them, the Acquisition, Audience and Behavior sections are perhaps the most important. The Conversations section is perhaps the most important metric available to you through Google Analytics. It shows just how successful your website is at accomplishing its goals. If you are looking for proof of your website’s success, Conversions is where you need to go. All other metrics, however, are not necessarily unimportant. These other metrics all help lead up to creating those conversions. Without understanding the various components of your website, you cannot begin to focus on improving areas where your webpage is suffering nor what marketing strategies are best supporting your efforts. In other words, if you want to turn traffic in sales or signs up, Google Analytics can help you get conversions. How? Let’s take a look at an example to find out. For a website that strives to reach new customers, paying attention to the Audience, Acquisition, Behavior and Conversion sections are important. The Audience Overview can help you to understand the difference between what you may think will attract a visitor and what actually does. For example, if you have a health blog, you may think your website’s target audience is a young, single female between the ages of 18 and 25. However, your actual audience may be married females, with children, between the ages of 35 and 45. Using this data, you now know that you should write content that is more geared towards this specific demographic. The Acquisition Overview can then define where your audience is primarily coming from. This includes, but is not limited to, the various social media platforms, SEO, AdWords and more. You may have thought Twitter was the primary driver when it came to acquisition. However, if Facebook makes up the biggest chunk of your visitor traffic into your website, you may want to consider stepping up your Facebook campaign. The Site Content subsection of Behavior helps to highlight the content on your website that performs best. This metric tells you which types of content or articles are worth investing more in, as they have the best performance standard. Conversions, in general, are your most important performance metric. After all, fulfilling your goals is the actual metric that shows whether or not your website is successful. When used together, the metrics provided by Google Analytics can help you focus on determine your strengths and weaknesses, as well as where your marketing campaign is strongest and who your actual target audience is. These items can be pieced together to create a strong conversion rate. Because Google Analytics gives raw data, it can help bullet-proof your campaign strategy regardless of any Google updates to their algorithm. Google updates their algorithm often. Not only can it be hard to understand initially, but the Google updates can also make it hard to keep track of what is still relevant and what is now considered irrelevant. While Google Analytics is a tool available to everyone, we know it can take time to fully understand all the various functions and reports it can provide. It also takes time to fully process what each of these reports means to your specific website. In the digital world, every day is another dollar lost or gained. It is fast paced and easy to become overwhelmed with. If you want to maximize your potential but find the online world to be overly complex, the professionals at 51Blocks can help. As marketing experts, we thrive on building campaigns that get results. Because each member of our staff is highly skilled, experienced, and eager – we know just how to use tools like Google Analytics to truly help your business website shine. If you want to learn more about how Google Analytics can benefit you, or you are considering hiring a professional marketing agency to help you succeed, 51Blocks is here for you. Contact us today!